We’re so excited to start using a line of Green Cleaning products called Get Clean. This line covers all of our cleaning needs. We are going to give you information on all of the products so you know that you are supporting our initiative to keep our planet green! It’s a breath of fresh air in the laundry room! The laundry products have biodegradable surfactants, no phosphates, no chlorine and are hypoallergenic. Click here to purchase these products. Verde was part of the amazing Fashioning Philadelphia Event! Here’s one of Felicia Vo’s photos of the event. As we celebrate our 5 year anniversary we want to hear from our fabulous Verdenistas! 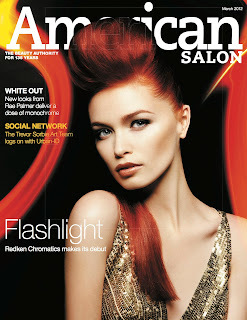 Not sure what conditioner to use after coloring your hair? How long should you wait before washing your hair after a Keratin treatment? What’s the best way to help color stay longer? If you’ve got a question, we’d love to hear it. 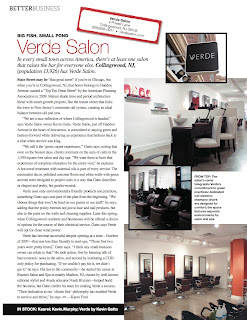 We’ll make sure one of the Real Hairdressers of Verde answers the question – It may even be selected for use during one of Kevin’s segments on CBS3. Post it to our Facebook page.